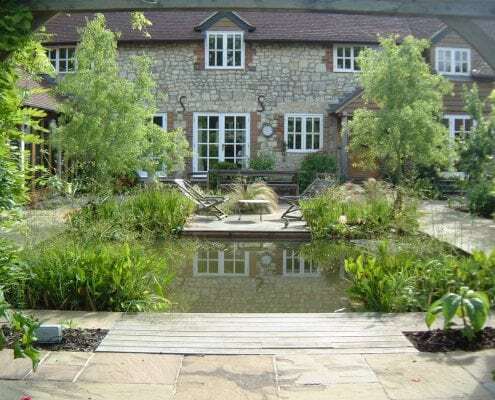 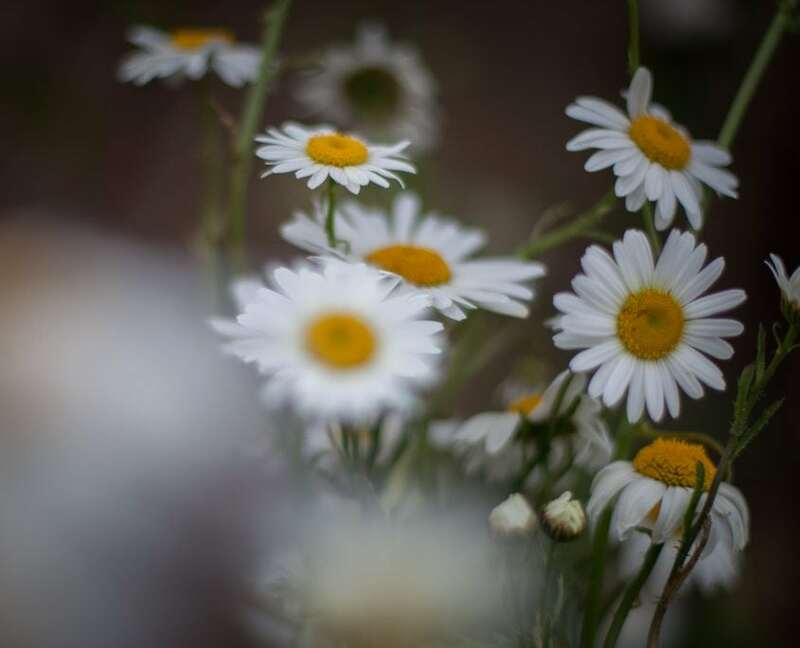 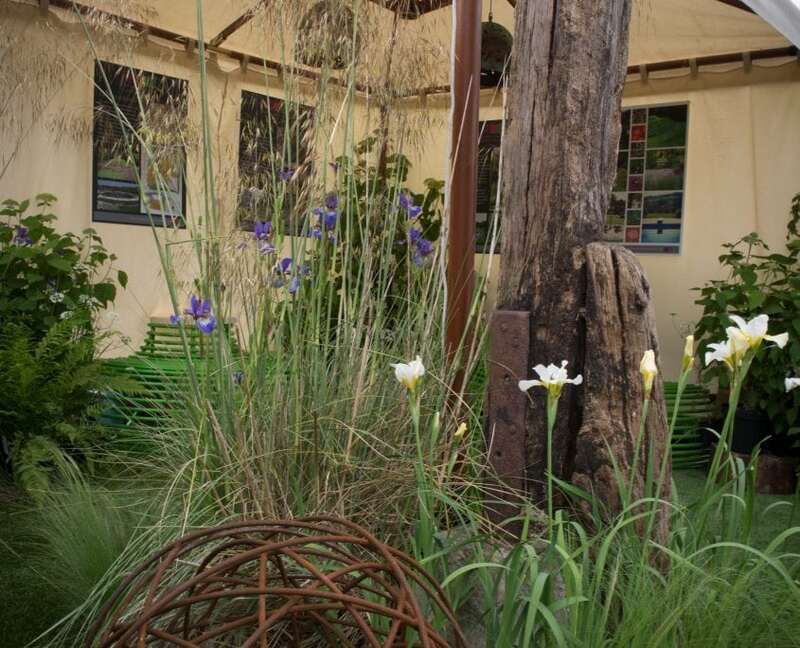 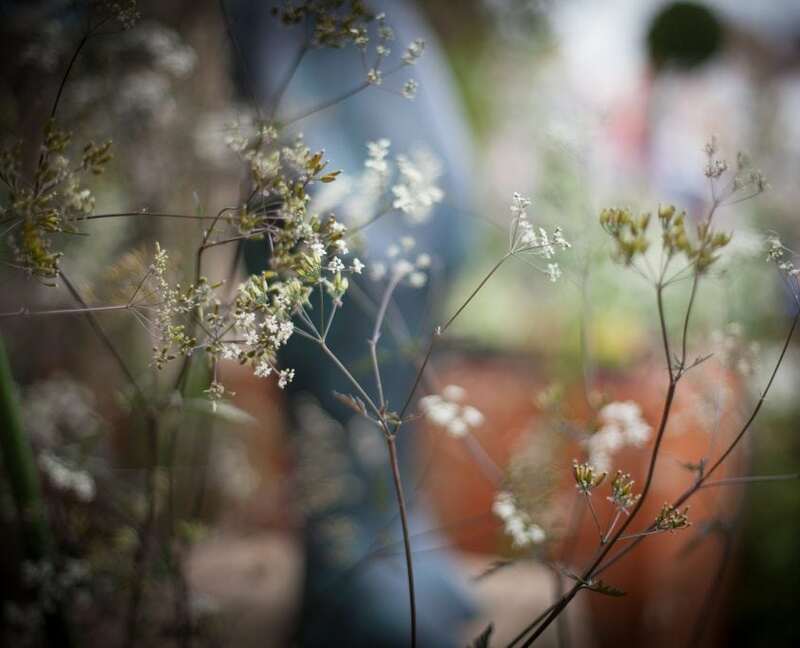 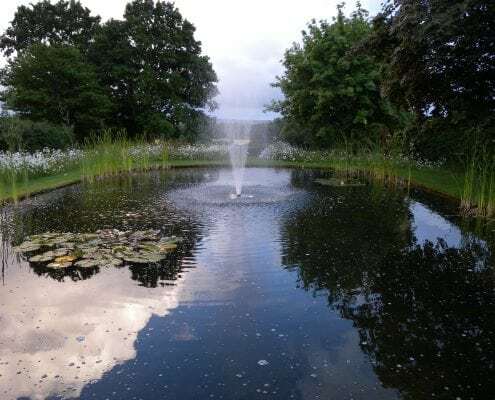 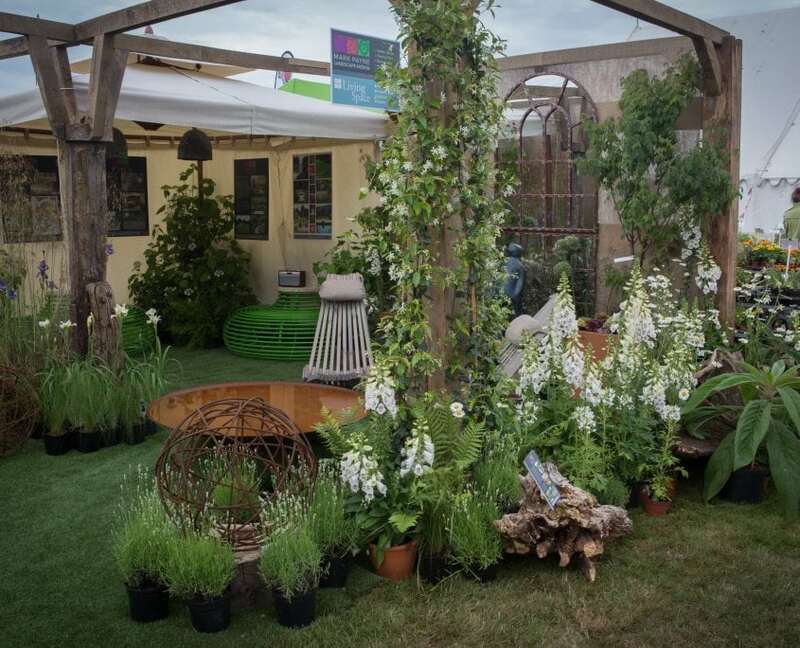 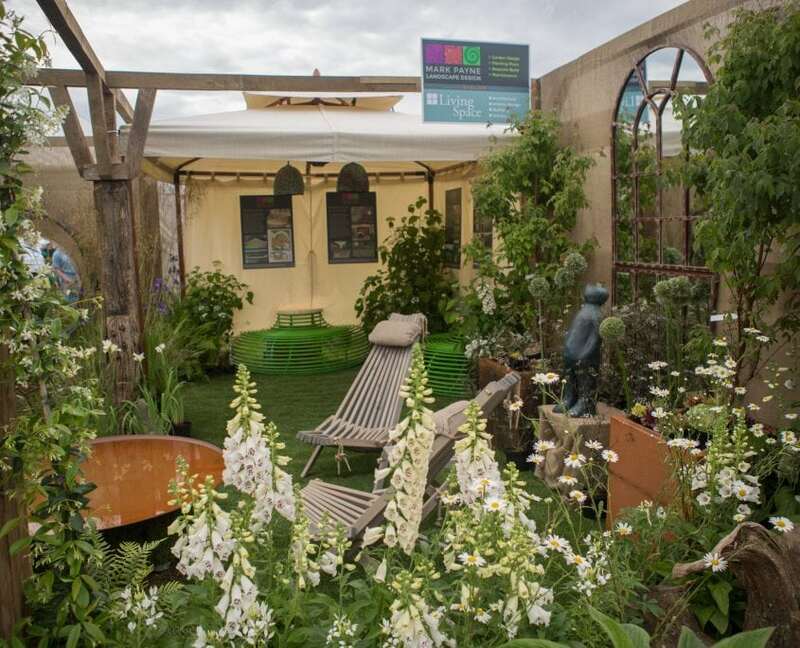 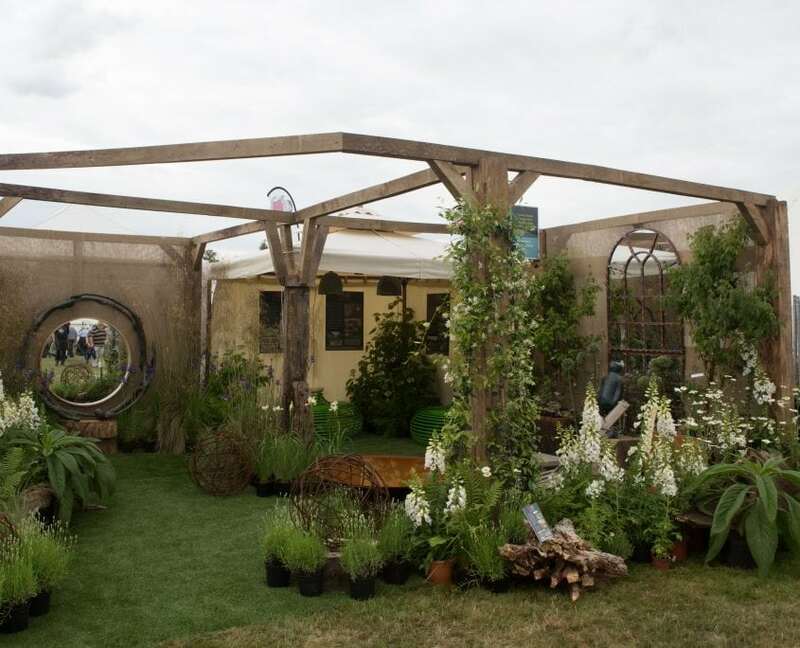 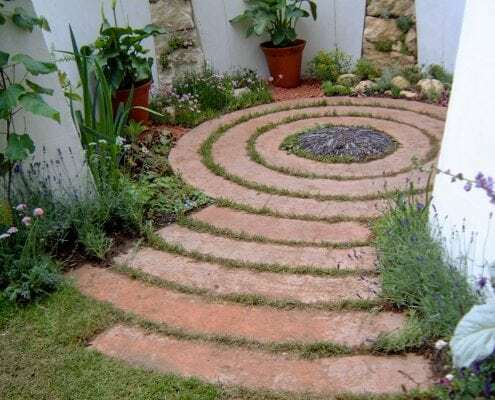 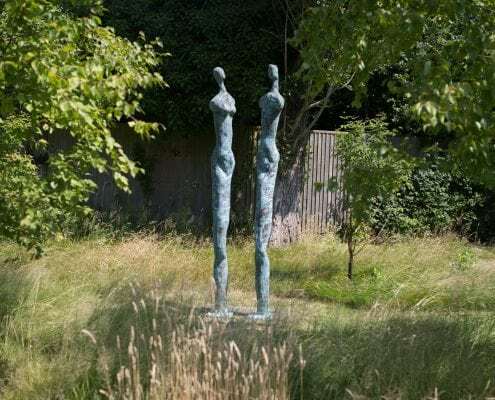 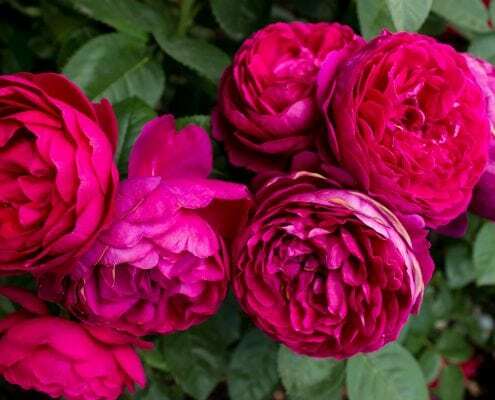 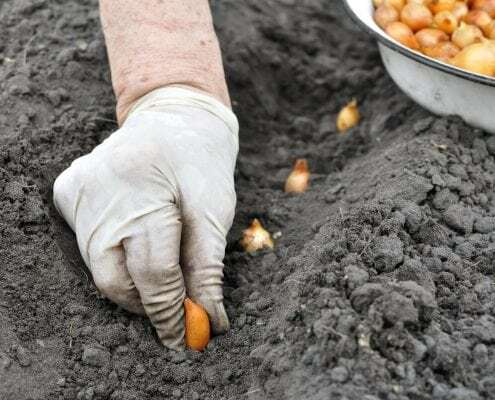 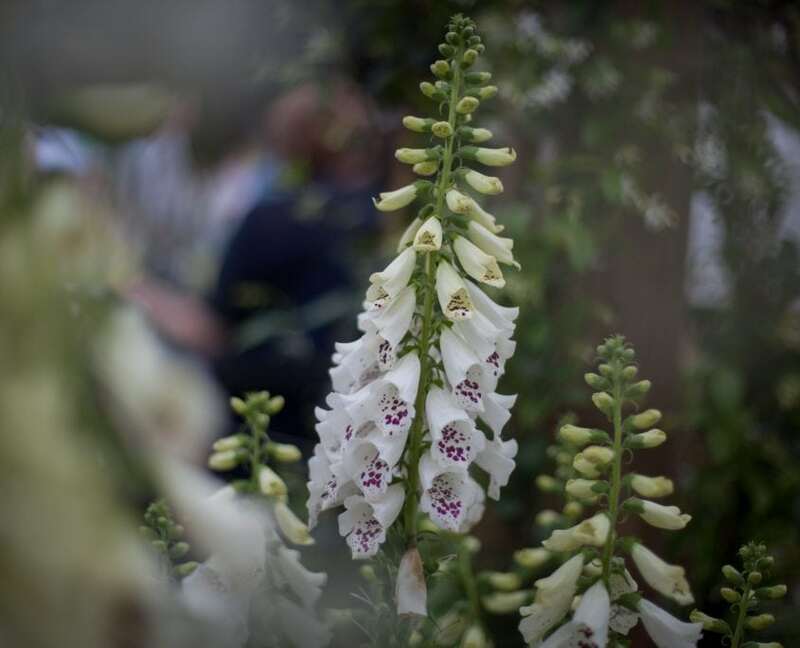 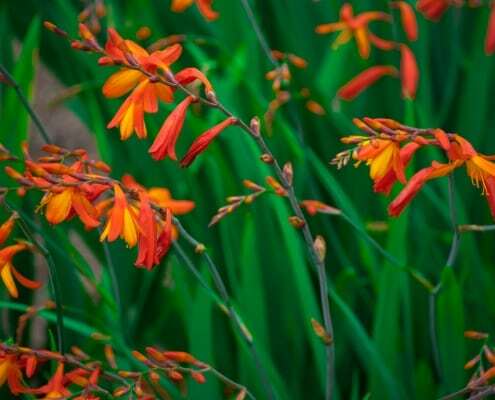 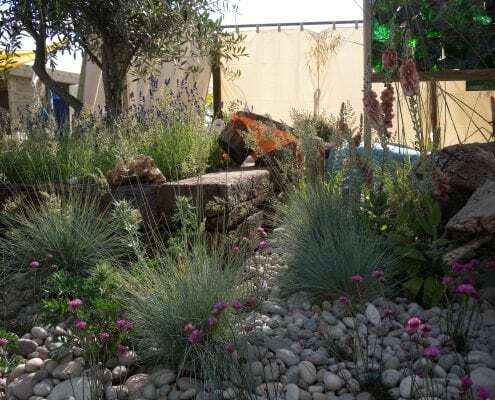 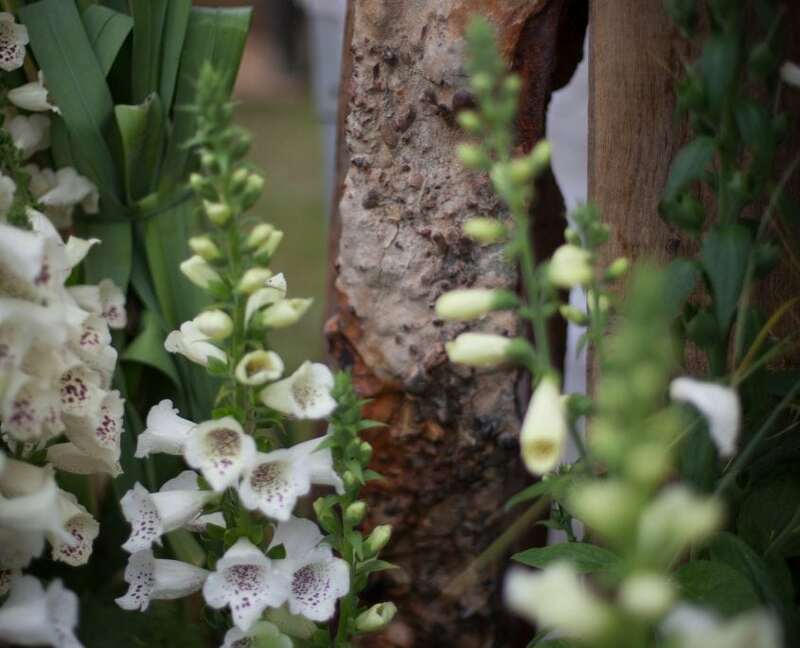 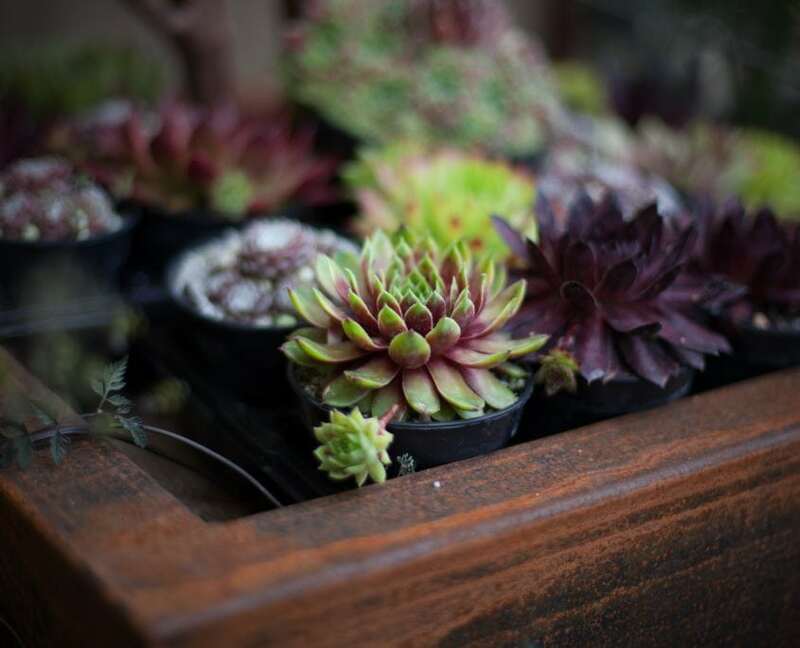 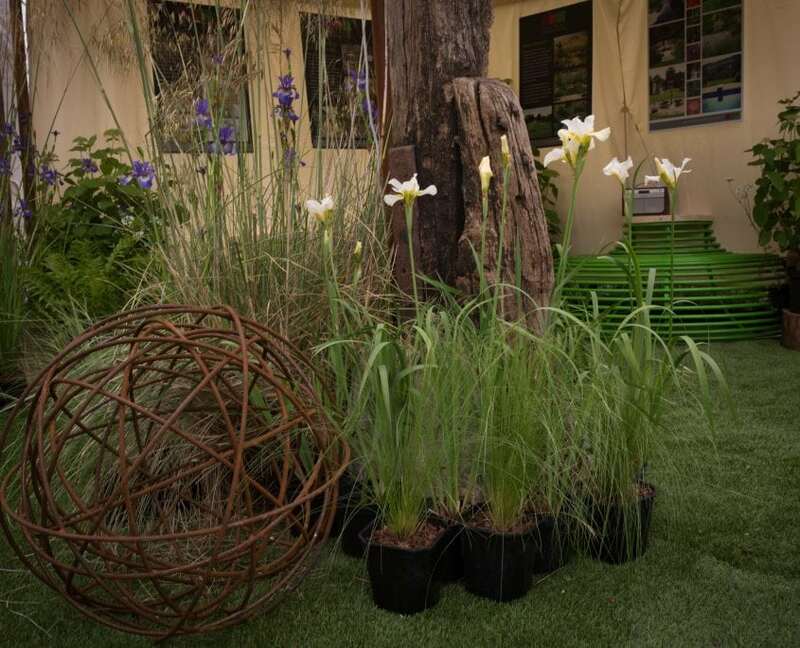 A lthough we have been at Stansted Garden Show on several occasions over the years we felt it would be a great launching pad to introduce people to our new branding and website. 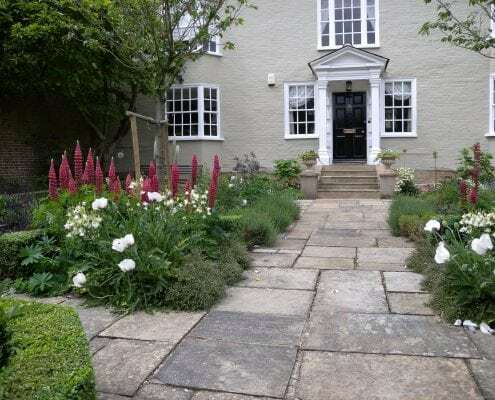 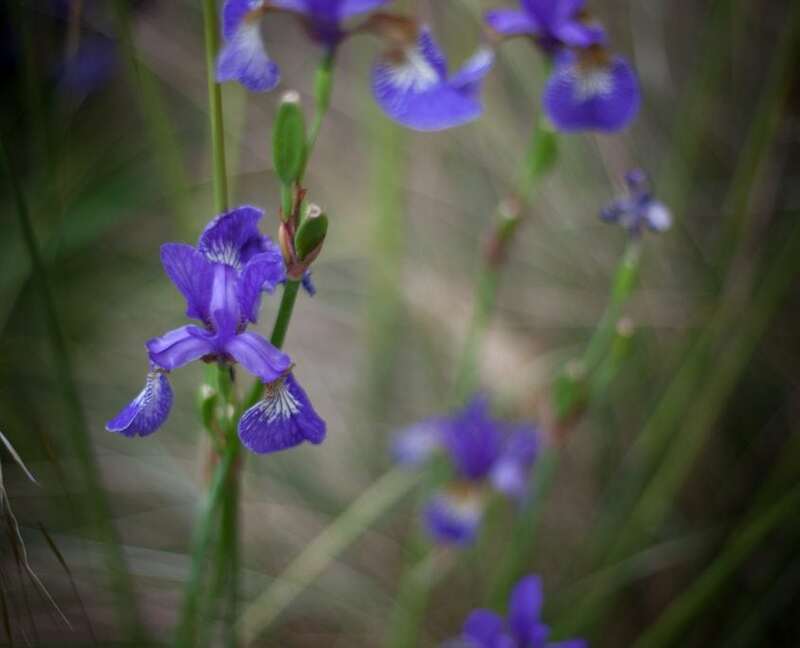 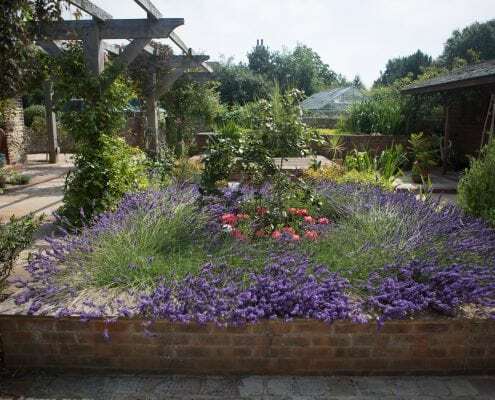 It also provided an ideal opportunity for us to collaborate with Monika and Milan from Arundel’s Lavender House and Garden and architect Bob Mousley of Living Space. 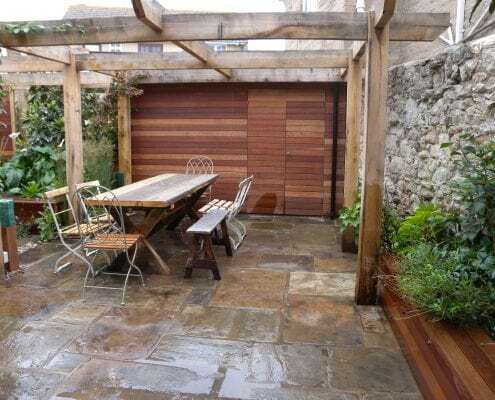 Fundamental to the garden’s design was a aged oak framework – a bespoke installation with much thanks to Bob’s joinery team. 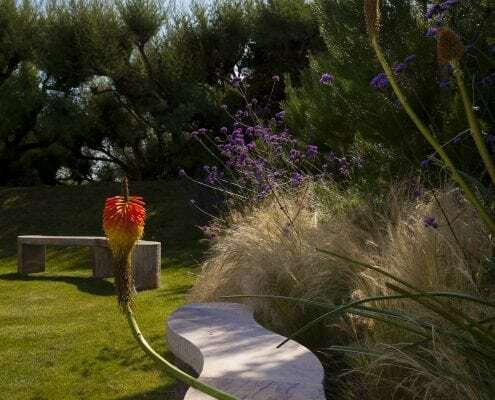 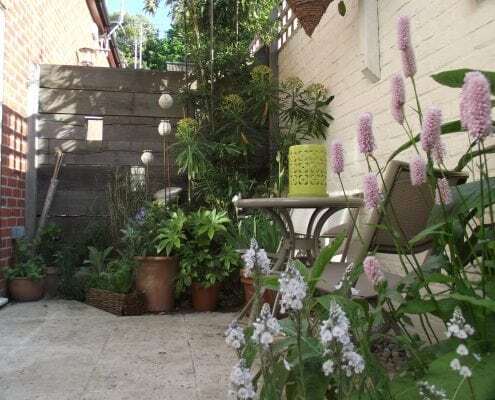 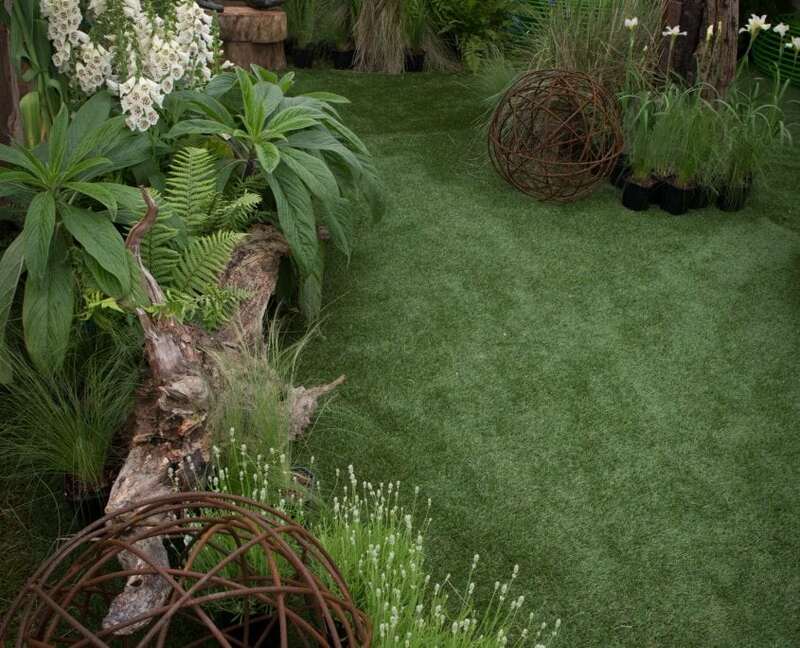 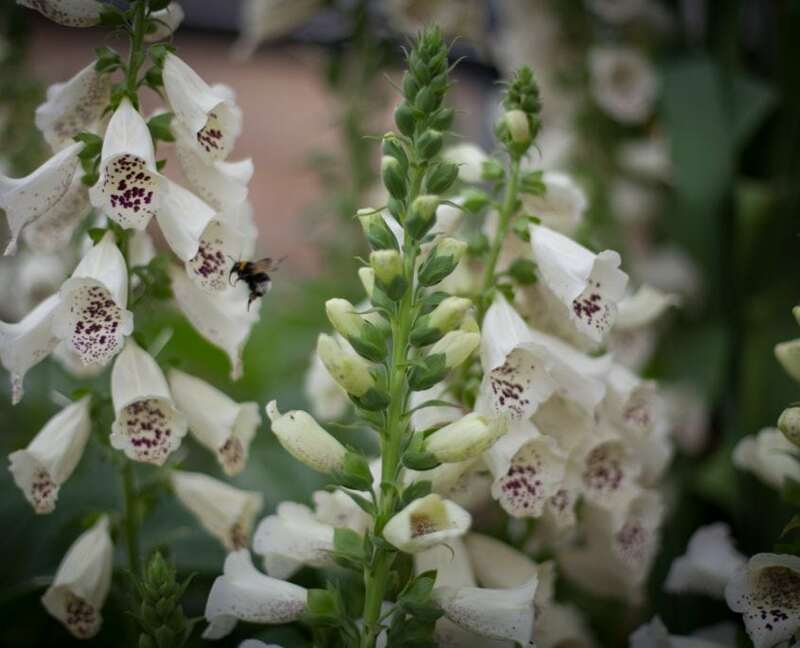 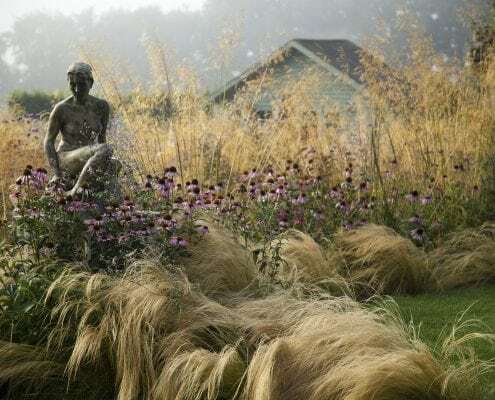 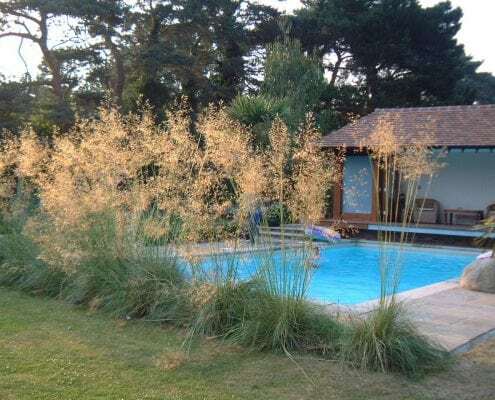 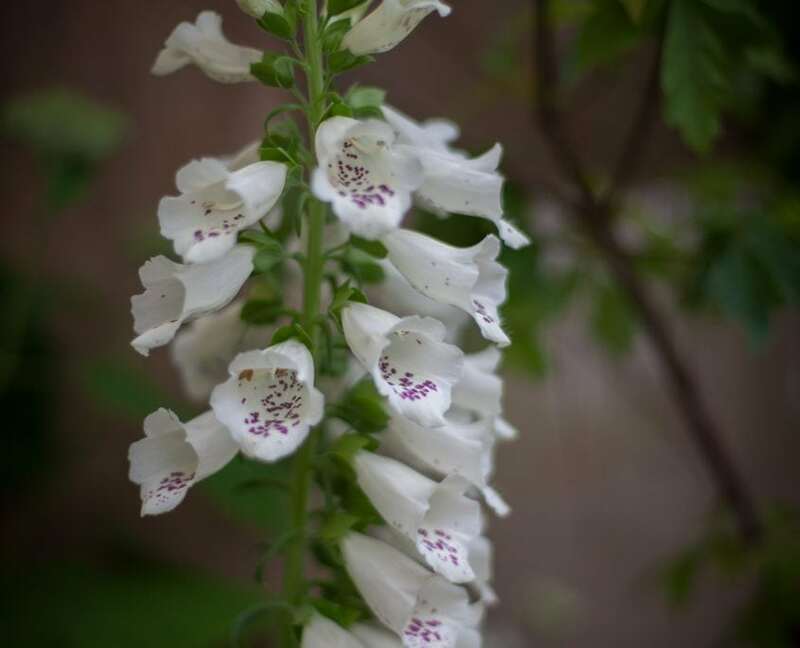 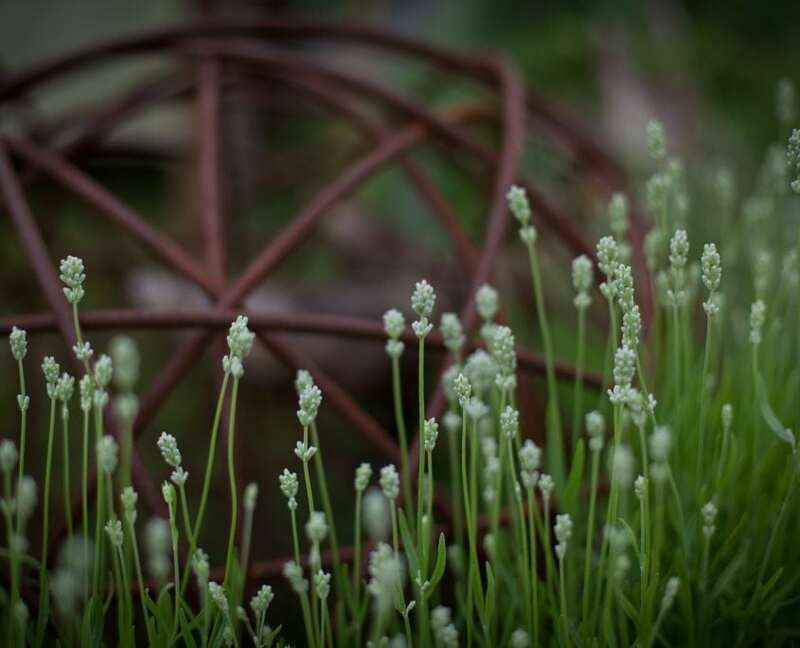 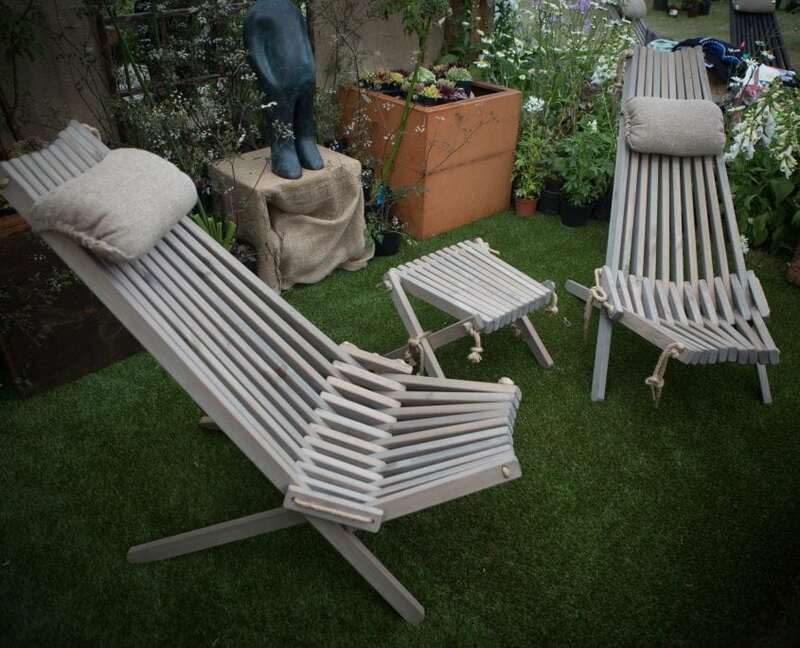 Giant white alliums, foxgloves, ferns, hydrangea Annabelle, grasses and iris created a cooling green and white palette – a perfect foil for Living Space’s bronze sculptures and Monika’s outrageously cool Scandinavian deck chairs. 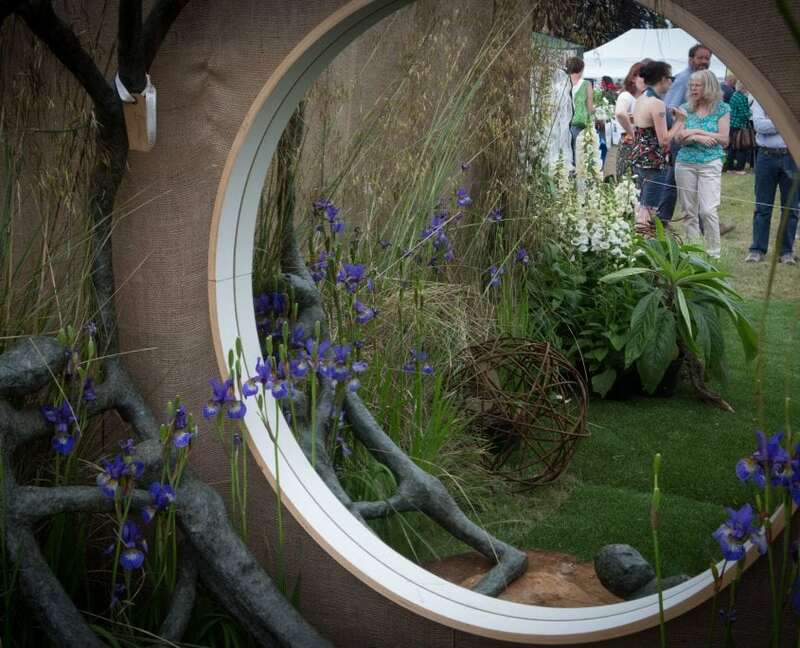 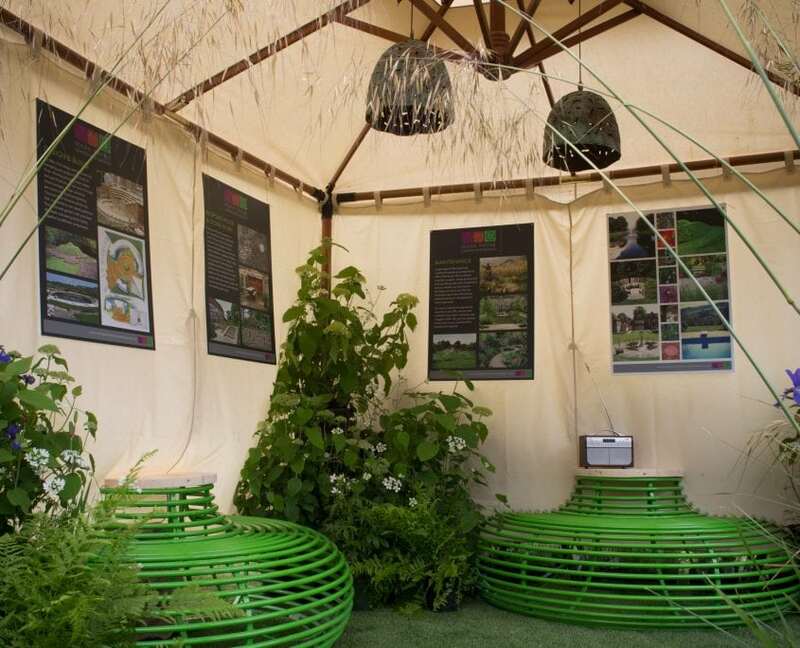 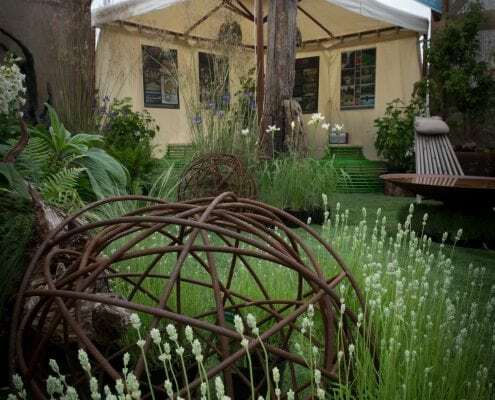 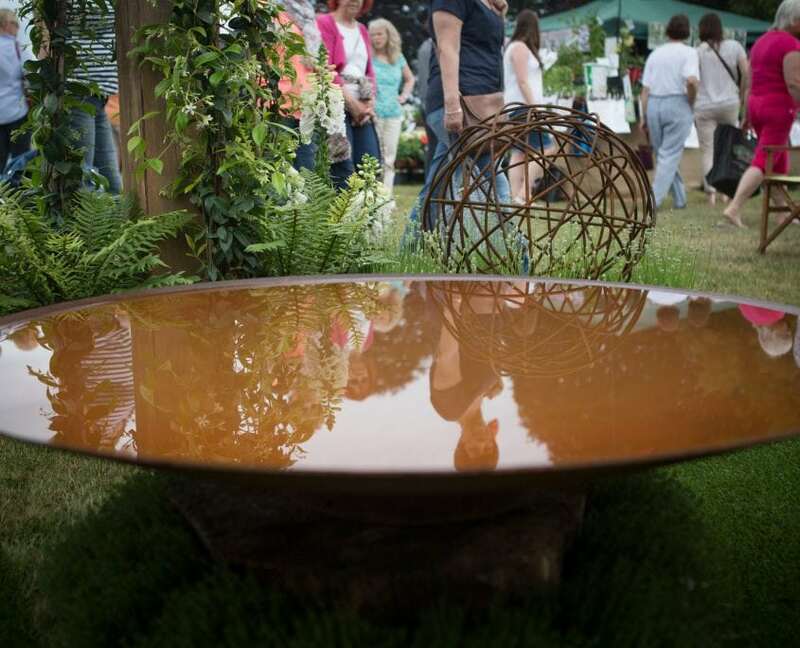 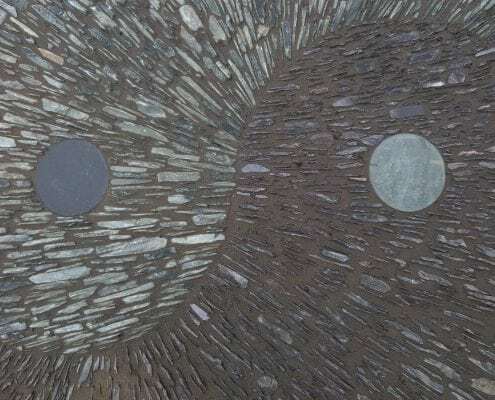 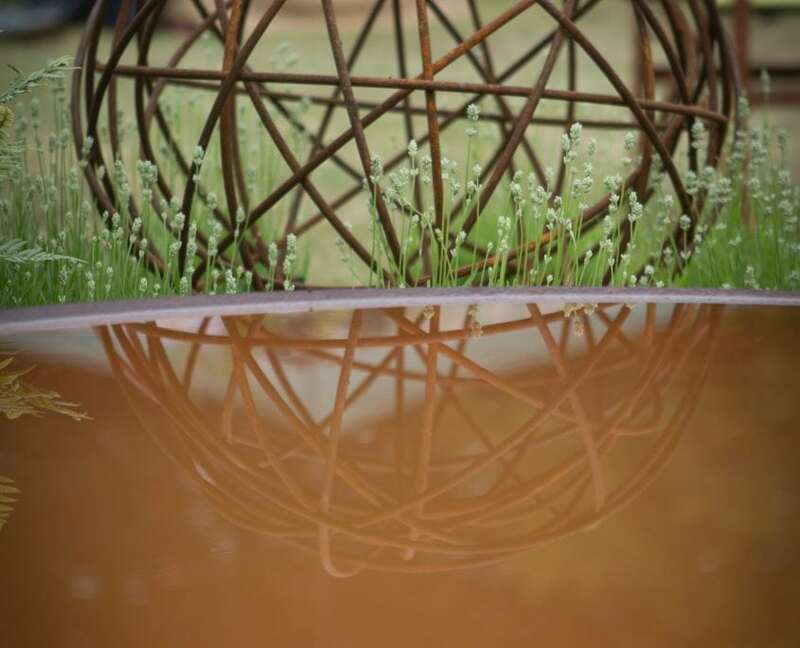 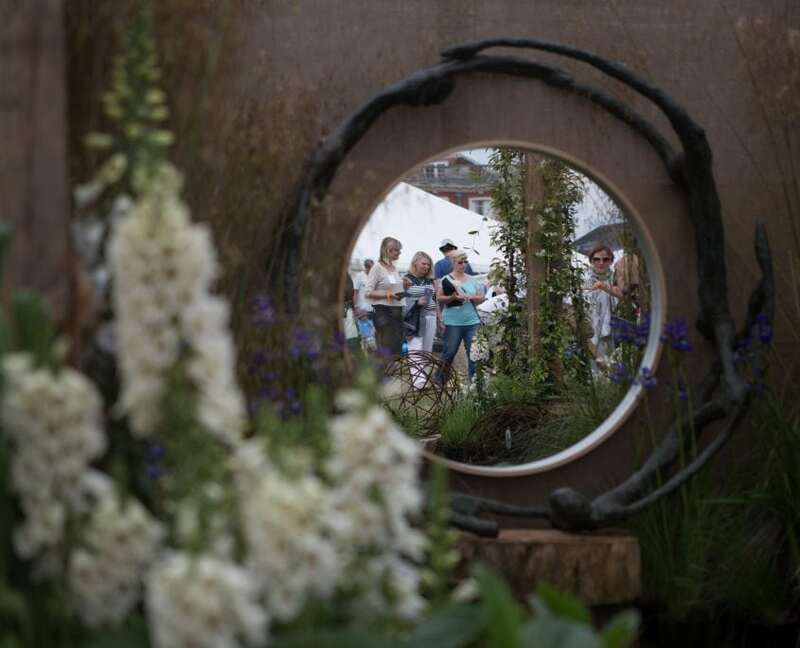 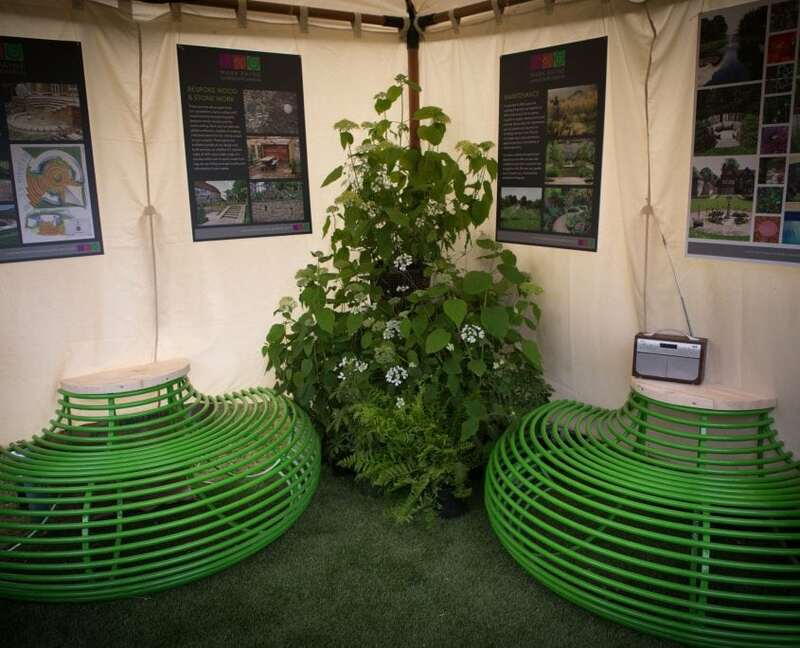 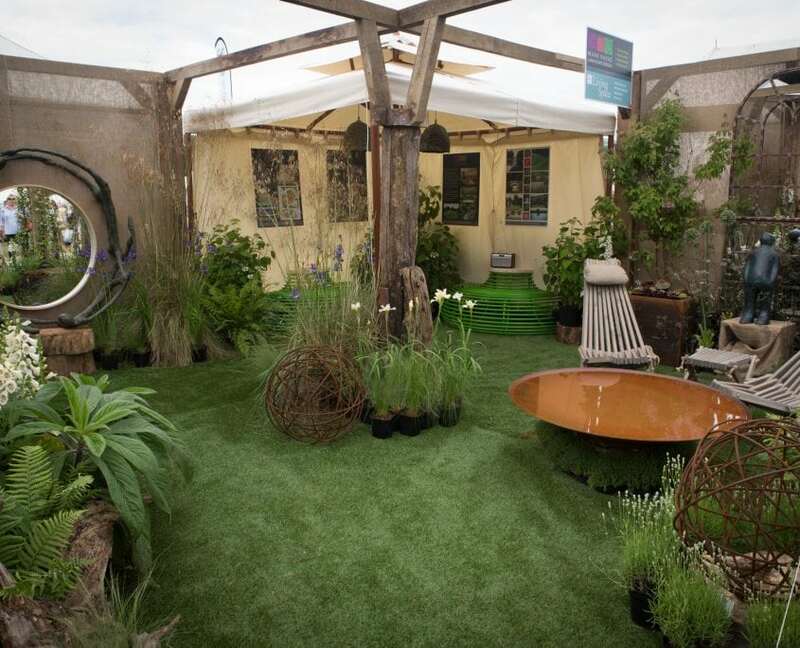 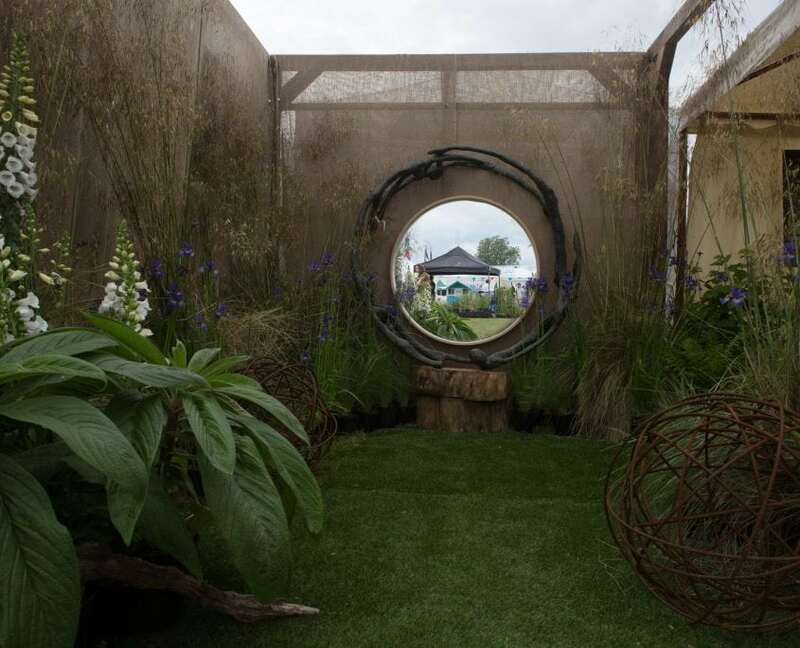 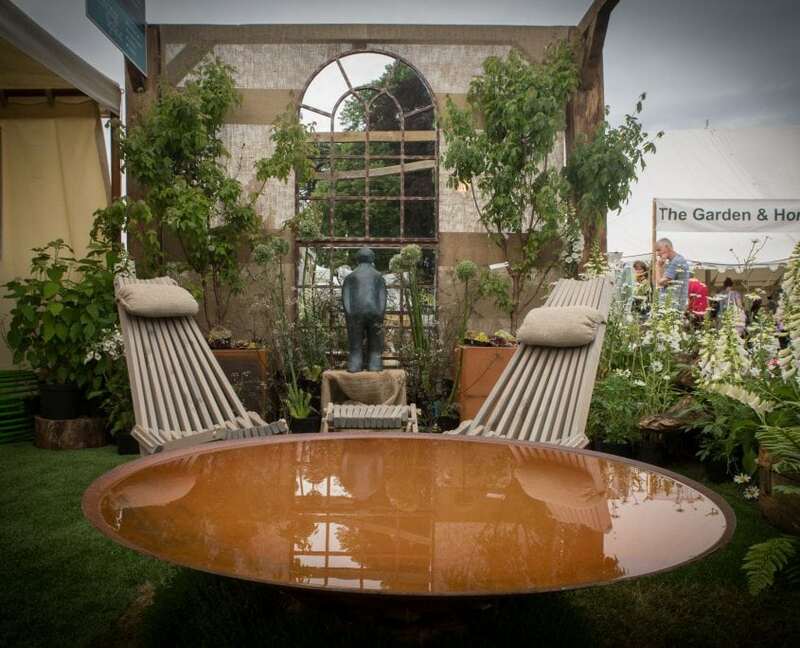 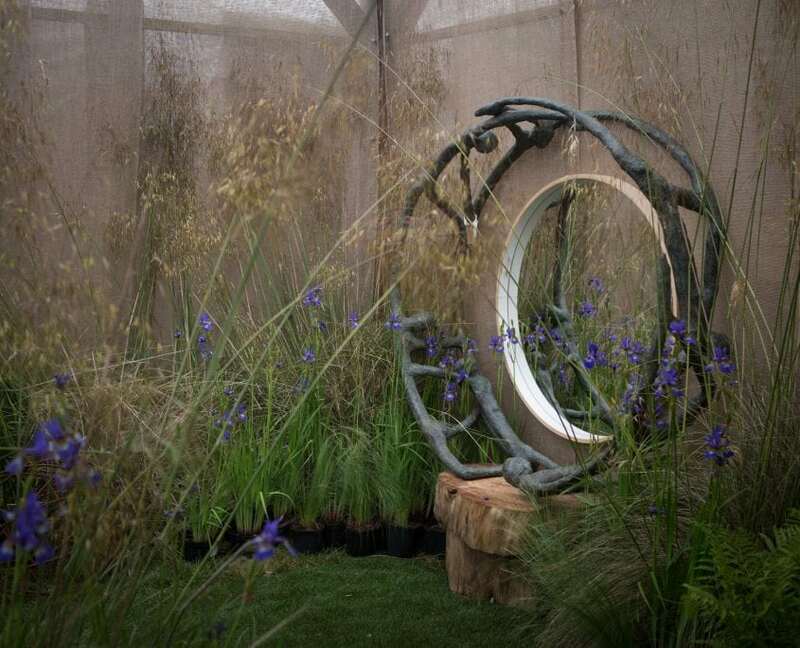 Alex Moore Design’s lime tree seat and corten steel spheres provided the finishing contemporary edge – and proved to be a popular attraction at the show.